Sunday evening, February 5, 1911. Unusually warm. A thunderstorm approached the state capitol from the west and lightning struck the dome around suppertime. Among the dozens of eyewitness reports and photographs is this one, courtesy Cole County Historical Society. 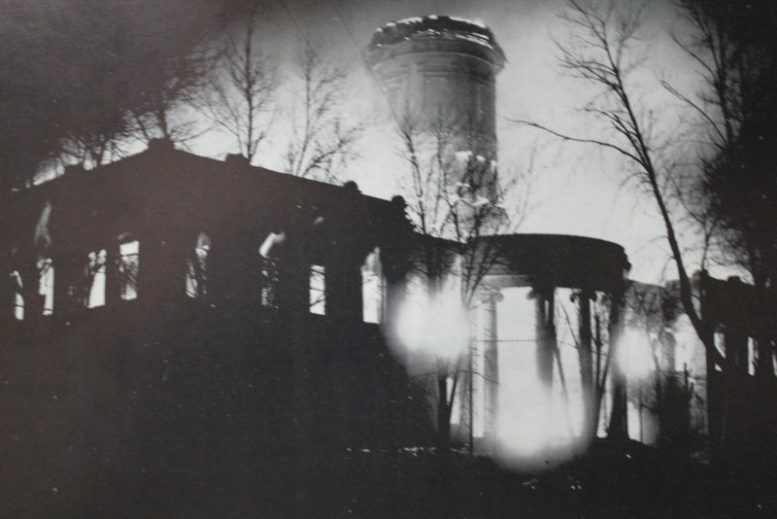 The photo appears in The Day the Capitol Burned by Joseph S. Summers, Jr., (the first book I ever edited, now out of print).